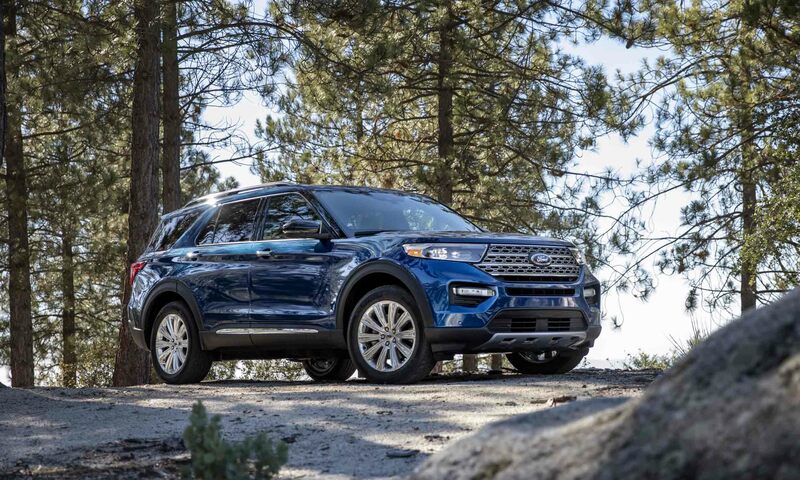 The Ford Explorer is a pretty big deal for the Dearborn-based automaker — almost eight million copies of this seminal sport utility have sold since its introduction in 1991, establishing it as the best-selling SUV of all time. Making changes to a model as popular as the Explorer imbues designers with a certain level of excitement, and likely an equal amount of trepidation since there is so much at stake. Great designers are always up for a challenge, and since it’s been almost 10 years since the Explorer’s last major redesign — its time had come. 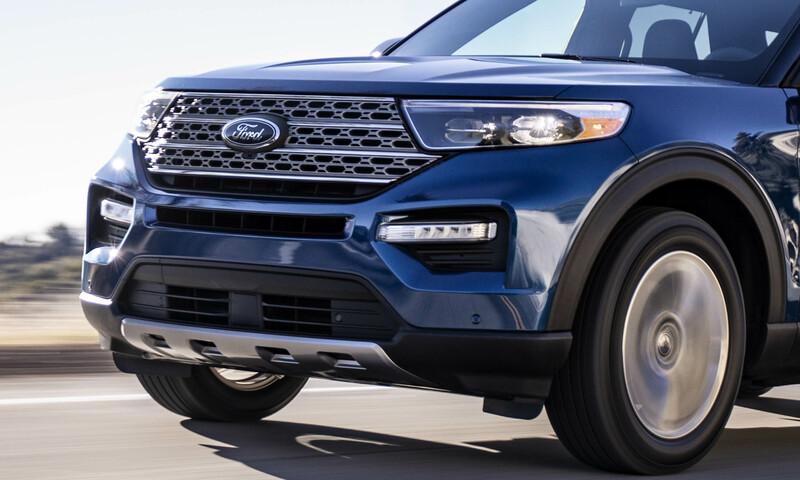 From early indications, this all-new 2020 Ford Explorer will easily be the best one yet. 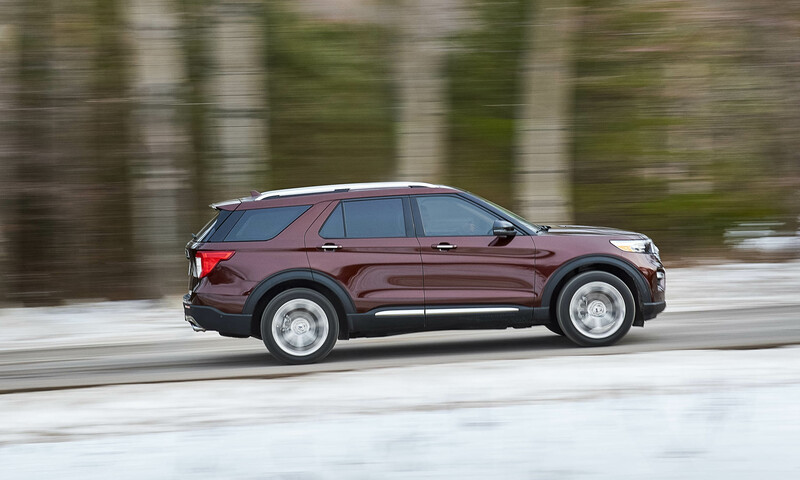 The new 2020 Explorer is built on an all-new rear-wheel-drive flexible architecture designed to improve ride and handling as well as the vehicle’s overall capability. 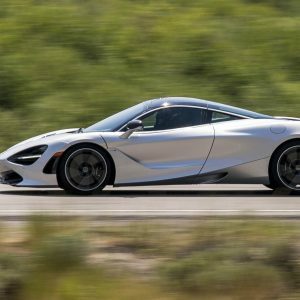 Through use of high-strength steel and other lightweight components, the new structure is 25 percent stronger while reducing weight by 200 pounds on average. This also means improved towing capacity as well as a roomier interior. 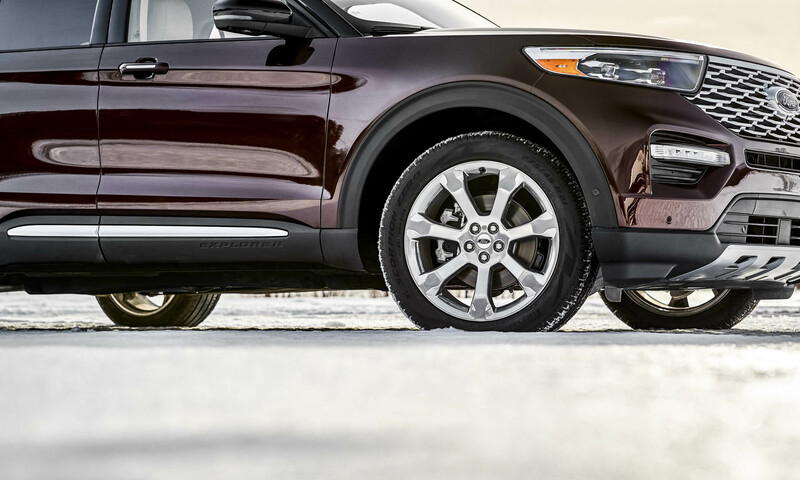 Overall, the new Explorer is about the same length and width as the outgoing model; however, the wheelbase (the distance between the front and rear axles) is more than 6 inches longer, which puts the wheels farther to the corners of the vehicle for improved handling as well as more interior space. Thus cargo volume and passenger space have increased over the previous generation. In fact, with all rows folded flat the Explorer can take in a 4×8 sheet of plywood. 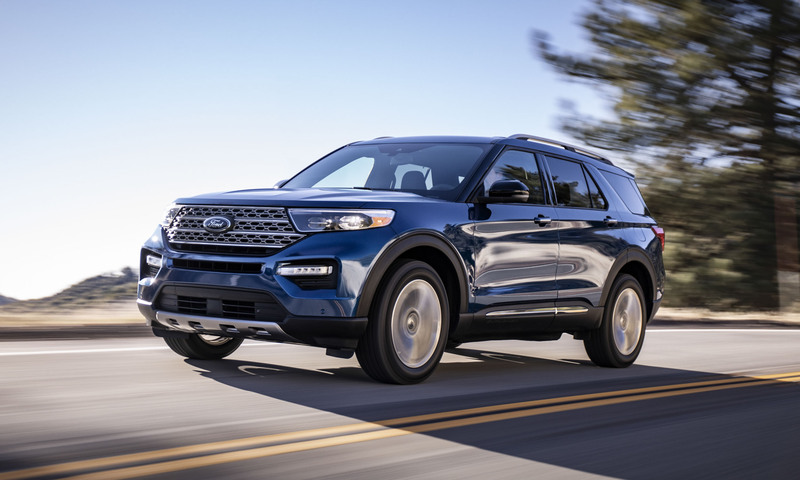 Although the 2020 Explorer has been completely reimagined, designers retained enough original styling cues that keep this popular SUV recognizable as an Explorer. 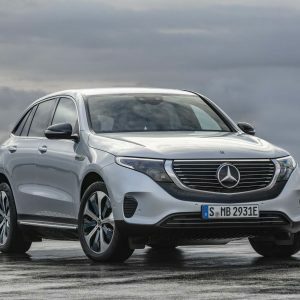 But the new model looks sportier than it has in the past, thanks to a more sculpted body, sloping roofline and shorter overhangs at the front and rear. Up front the grille is larger and wider, flush with the narrow LED headlights. 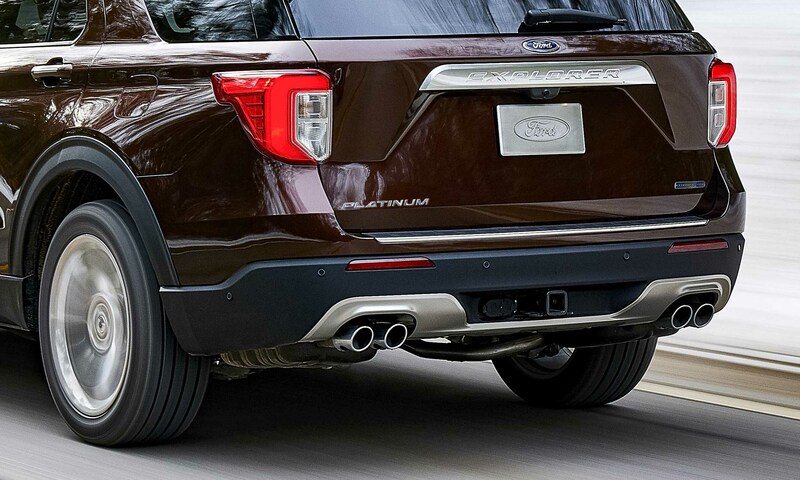 This gives Explorer a wider and more athletic stance, further enhanced by horizontal fog lights below. 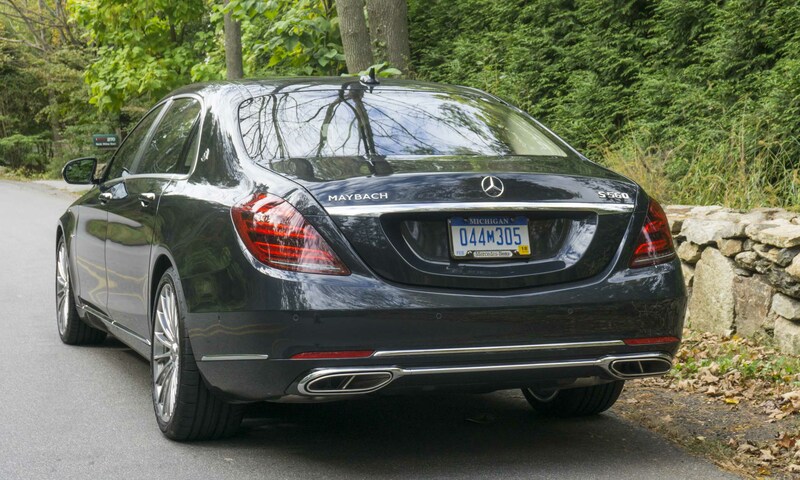 At the rear are larger LED taillights as well as available quad exhaust outlets. 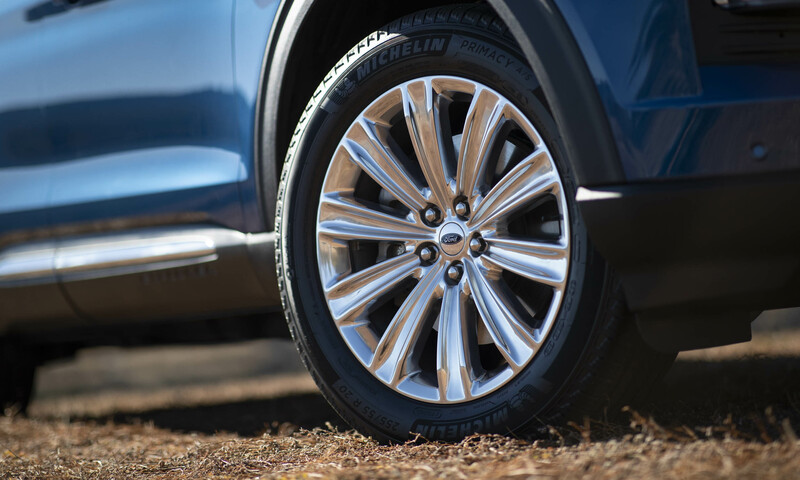 The refreshed Explorer exterior is certainly important, but much of what’s new can be found on the inside. 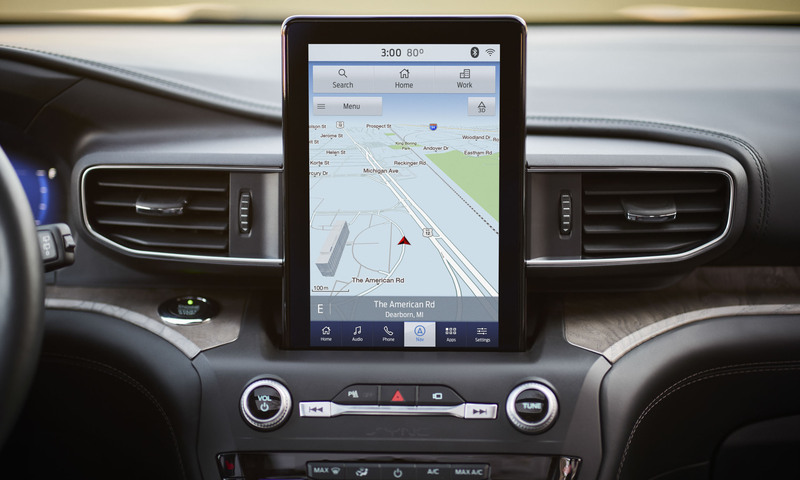 An 8-inch touchscreen display is standard, as is the latest version of Ford’s voice-activated interface system, SYNC3. 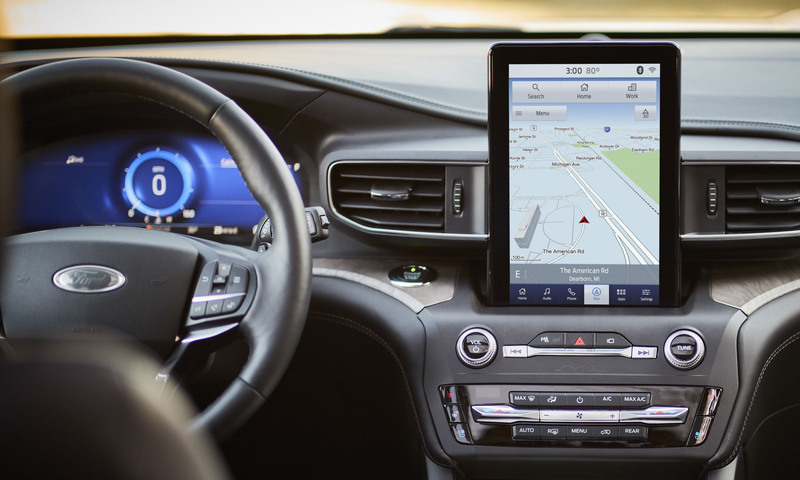 Apple CarPlay and Android Auto are standard as well as FordPass Connect, which provides a Wi-Fi hotspot for up to 10 devices that can be accessed up to 50 feet from the vehicle. 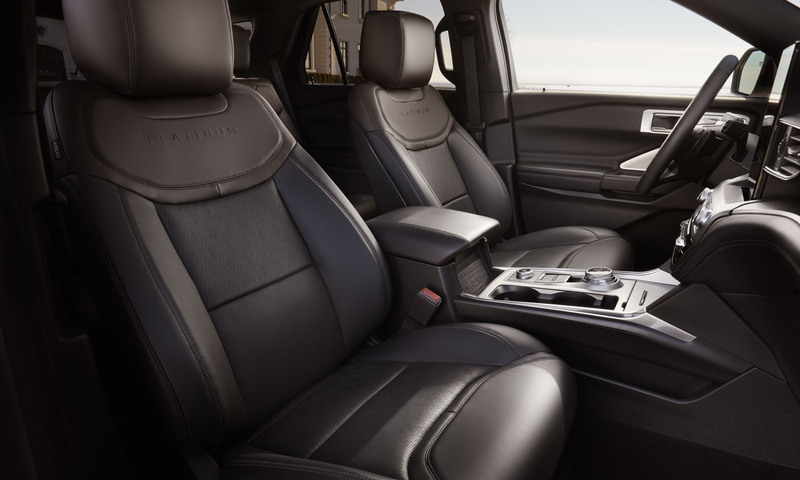 For an even more high-tech cabin, Explorer has an optional 10.1-inch touchscreen mounted in portrait configuration, similar to a tablet or smartphone. The new model also has an available 12.3-inch all-digital instrument cluster. For audiophiles, Ford offers a 980-watt Bang & Olufsen premium system with 14 speakers. A wireless charging pad is available, as well as four USB ports that include new Type-C connections. A 110-volt outlet is also available. Surprisingly, there doesn’t seem to be any ports or outlets for passengers in the third row. 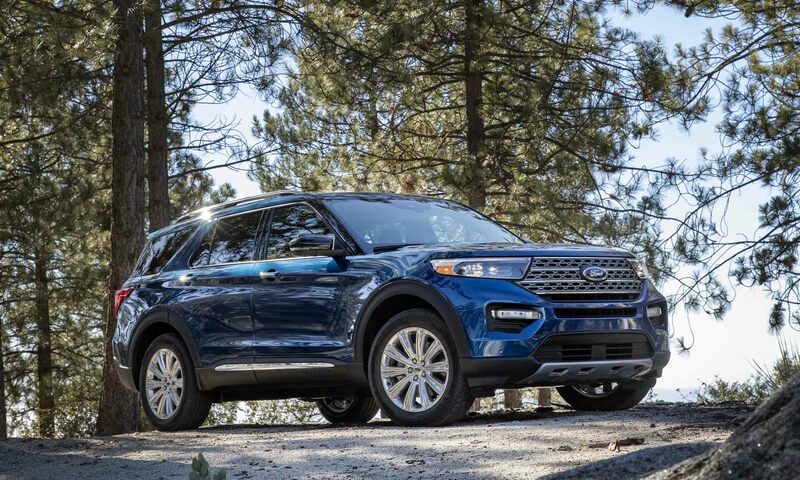 For the redesigned 2020 Explorer, Ford engineers made access to the third row easier than the previous model. 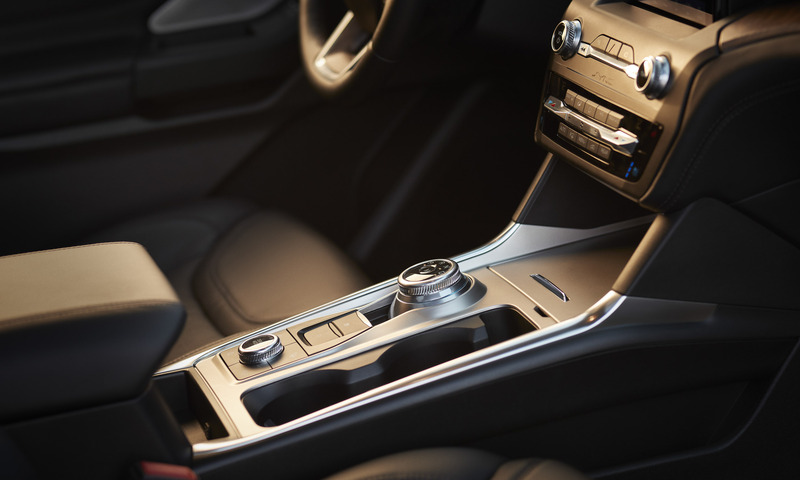 With one touch of a button on the second row, the seat will tip and slide forward. Legroom in the two rear rows has not changed much, but there is more shoulder-, hip- and headroom which should make these seating areas feel less cramped. 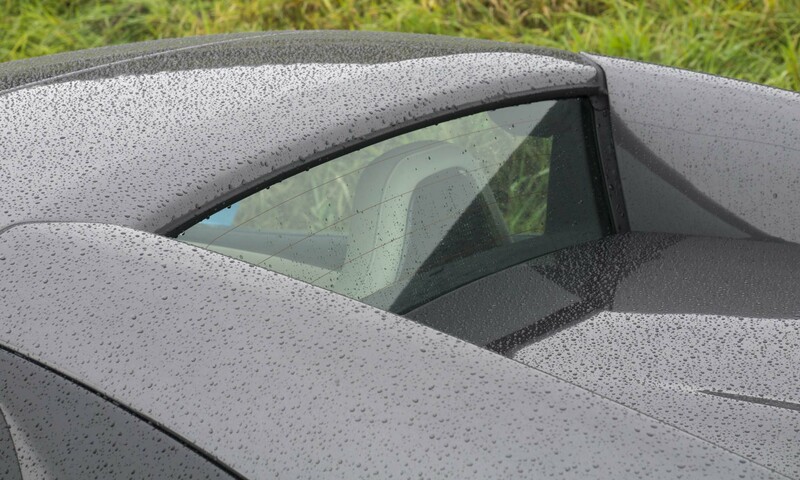 The optional dual-panel moonroof also evokes a more open feeling for all rearward passengers. 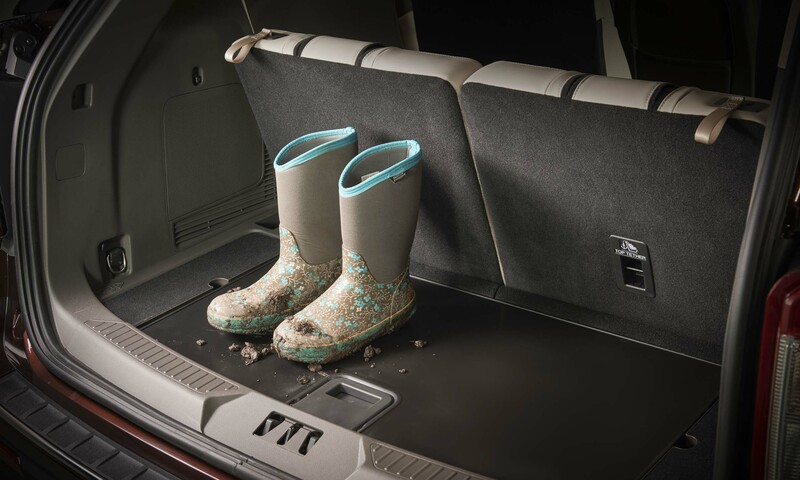 A standard power rear hatch provides easy access to the cargo space. 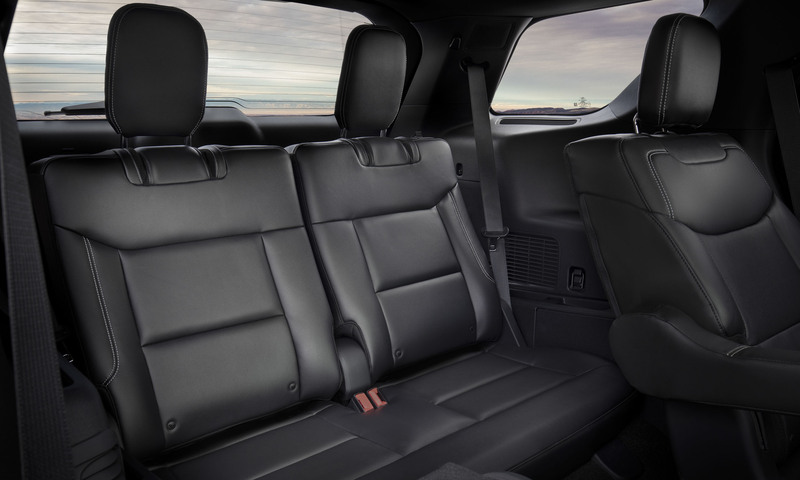 Although the new Explorer has a significant cargo area with seats in place, when both rear rows get folded out of the way it creates almost 171 cubic feet of space. 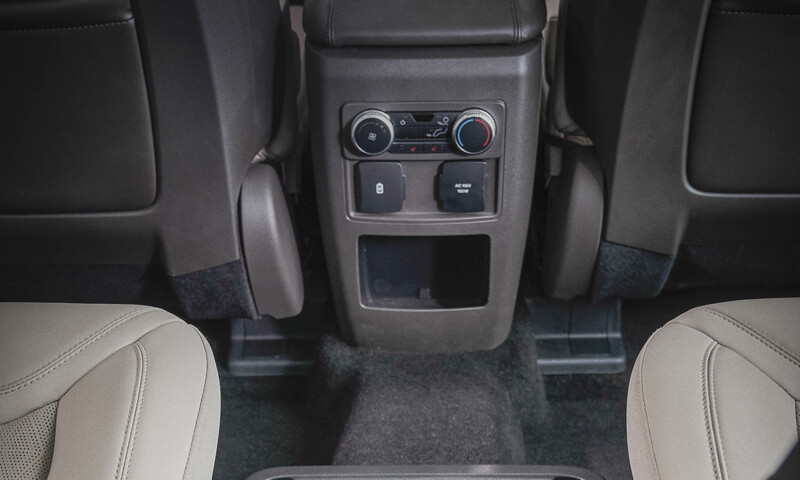 A nice feature is a reversable cargo floor — a solid surface can be faced up for dirty or muddy cargo; after a quick cleaning it can then be reversed back to carpeting. 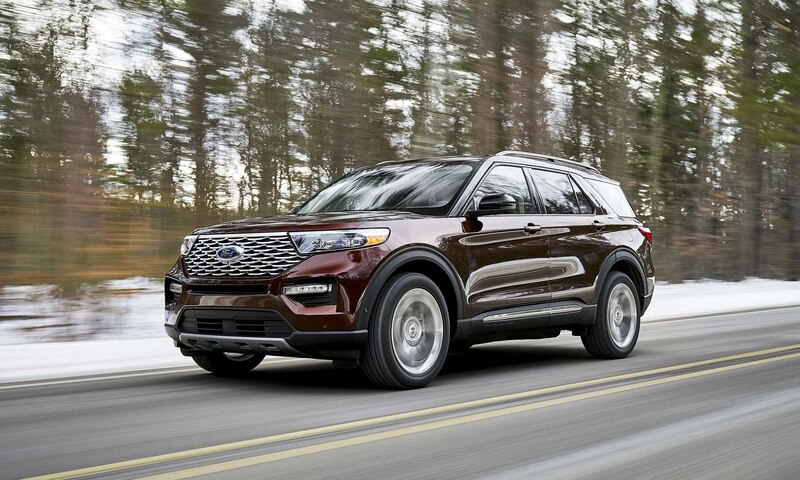 All 2020 Ford Explorers will be equipped with Ford’s Co-Pilot360 suite of high-tech safety features. This includes a blind-spot information system with cross-traffic alert, a lane-keeping system, pre-collision assist with automatic emergency braking and pedestrian detection, forward collision warning, post-collision braking and a rearview camera with a built-in lens washer (a thoughtful addition). Also available is reverse brake assist, which will automatically stop the vehicle if an object is detected in its path while reversing. 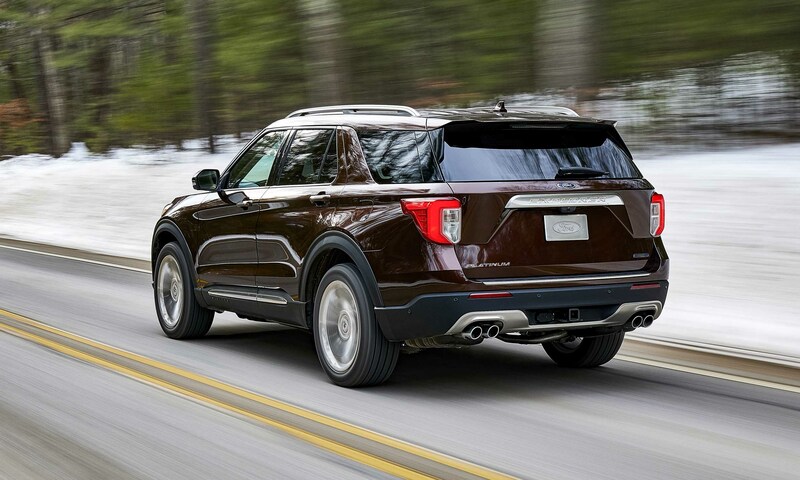 Explorer can be equipped with Ford’s intelligent adaptive cruise control with speed sign recognition. 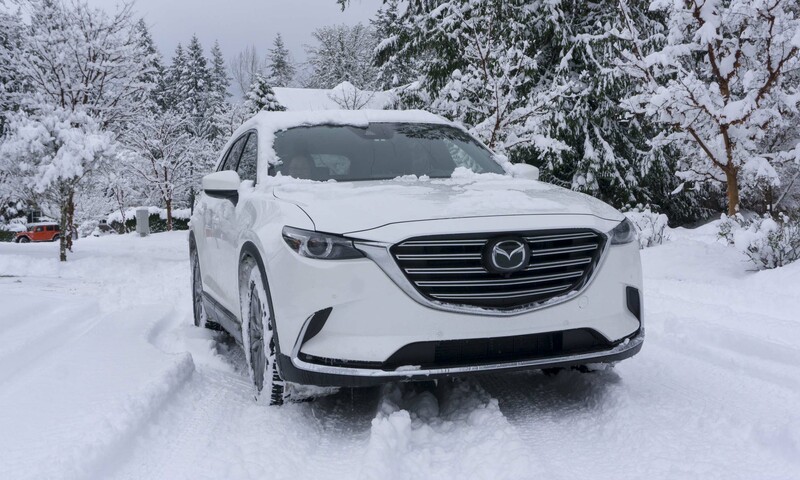 Like other adaptive cruise systems, a speed can be set manually, and the vehicle will be slowed automatically if the vehicle in front slows — all the way to a full stop if necessary. This new system will also adjust speeds by either reading highway speed limit signs or processing information from the navigation system. 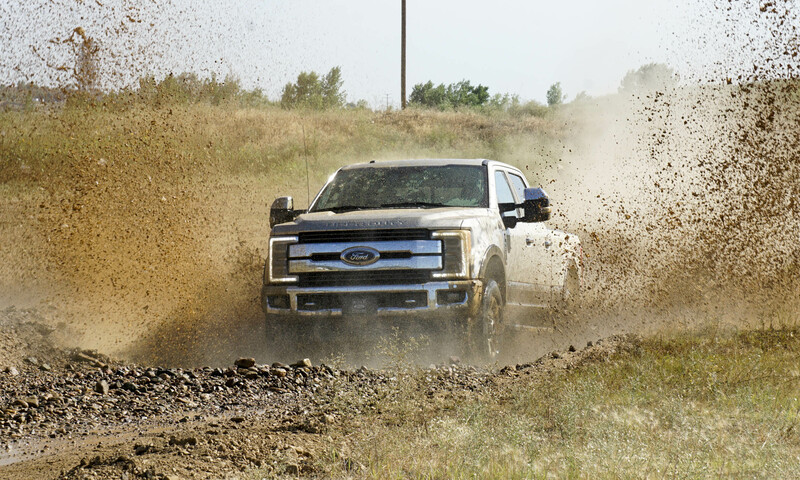 However, Ford does offer the ability to choose an offset speed limit; for example, the driver can choose to always set the speed to 5 mph more than the posted limit if so desired. The offset can be as much as 10 mph more (or less) than the posted speed. Beware the price of exceeding posted limits — tickets are still the driver’s responsibility. Ford introduces its latest parking system with the new 2020 Explorer: Park Assist 2.0. Like previous systems, Park Assist 2.0 will locate an appropriate parking spot for parallel or back-in parking; with the new system the driver merely holds down a parking button. All steering, throttle, brake and gear changes are handled by the system. It also works for departing a parallel-parking spot — extremely useful if other cars have parked too closely, making departure difficult. The standard engine in the new Explorer will be a 2.3-liter EcoBoost 4-cylinder unit producing 300 horsepower and 310 lb-ft of torque. Also available is a 3.0-liter EcoBoost V6 that bumps power to 365 horses and 380 lb-ft of torque. 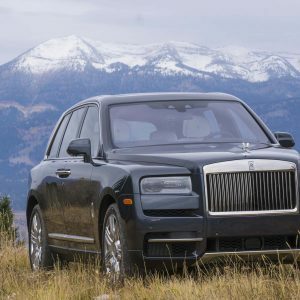 Both engines are teamed with 10-speed automatic transmissions. 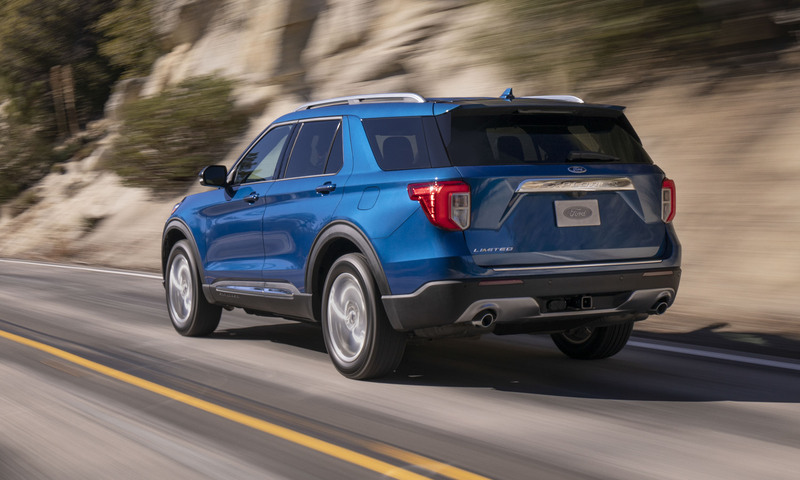 Towing capability has been enhanced as well — Explorer can pull more than 5,000 pounds when equipped with either engine: 5,300 with the 2.3-liter engine; 5,600 pounds with the V6. The available blind-spot warning system also works while towing by extending the coverage range to the length of the trailer. 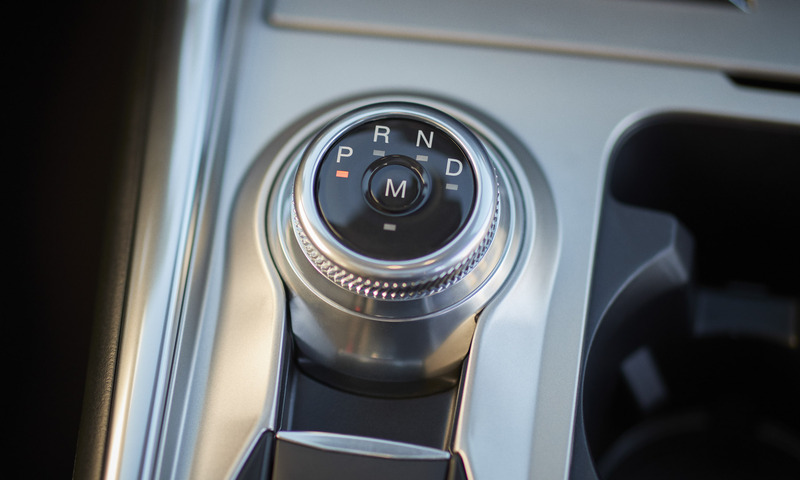 Ford has equipped the Explorer with up to seven selectable drive modes to fit varying weather, road and terrain conditions. 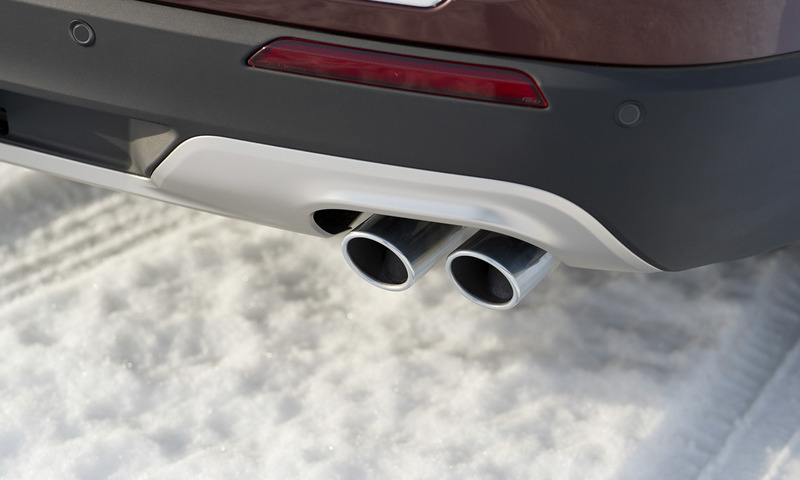 These include normal, sport, trail, slippery, tow/haul, deep snow, sand and eco. Each can set up the vehicle to best handle the conditions, distributing power based on throttle position, steering input and wheel speed. 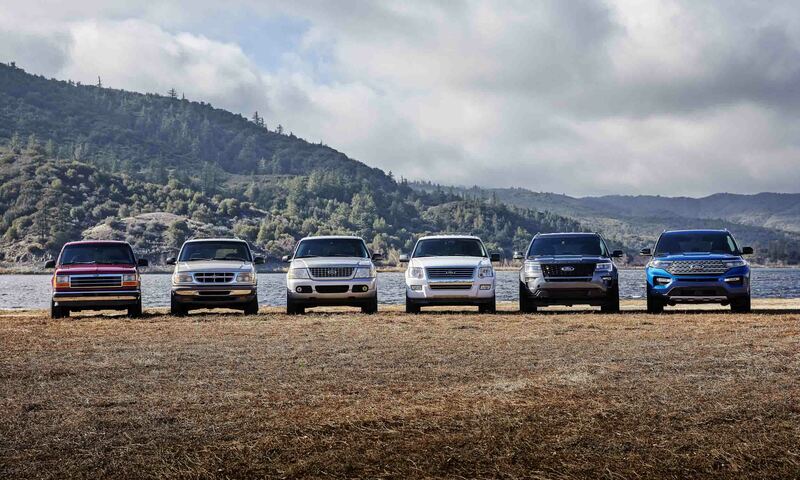 The range of available Explorers has expanded for 2020. 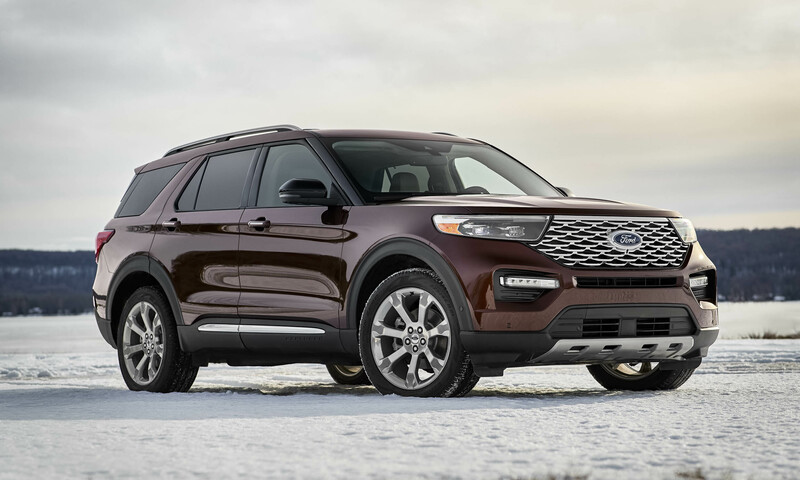 Two new versions will be added: a powerful ST (which replaces the Sport), and for the first time Ford will offer the Explorer with a hybrid powertrain in the Limited Hybrid. 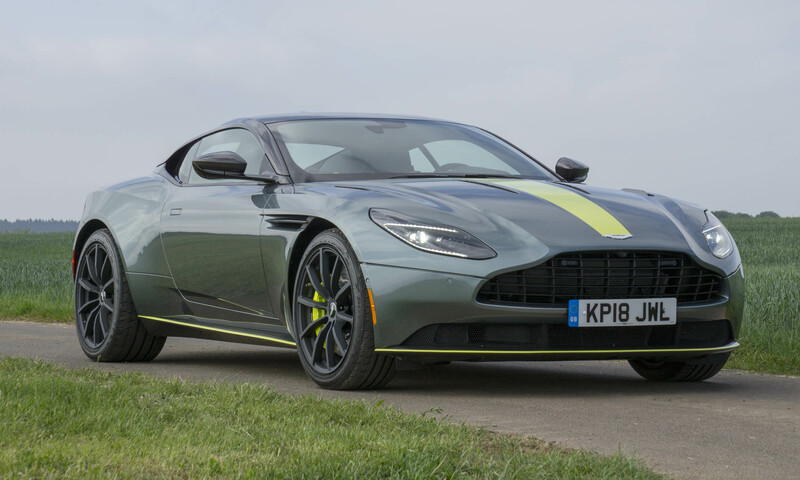 More details of these two new trims will be available next week when they are introduced at the 2019 North American International Auto Show in Detroit. The rest of the lineup will include the standard, XLT, Limited and Platinum trims. 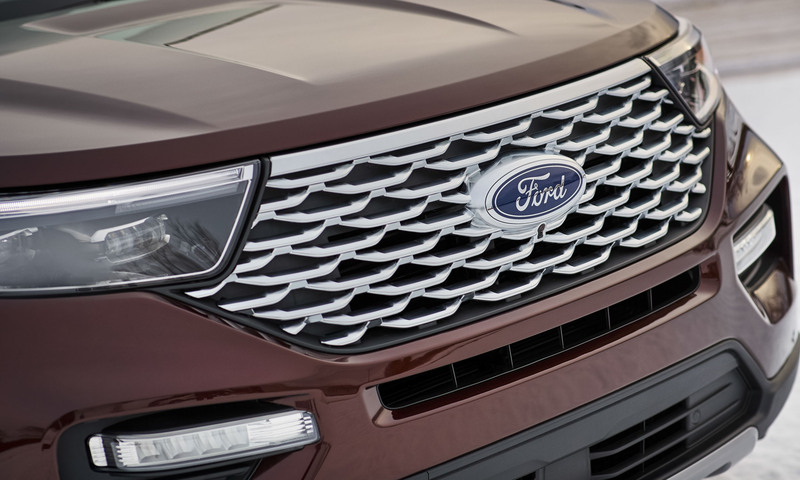 The new sixth-generation Ford Explorer will be built at Ford’s Chicago Assembly Plant, and is expected to begin arriving in showrooms this summer.